The Eclipse Foundation is most famous for the Eclipse IDE, the technology that IBM open sourced in 2001, leading to the establishment of the Eclipse Foundation as an independent not-for-profit in 2004. The Foundation has grown considerably since then. Today it boasts 30 professional staff members with more than 1,500 open source committers across more than 350 projects and backed by 275 corporate members. And for the 13th year running, like a clock, the Foundation is releasing the latest version of its eponymous IDE. This release is called Eclipse Photon. I recently spoke to Mike Milinkovich, executive director of the Foundation, to learn more about what new things the latest IDE offers. 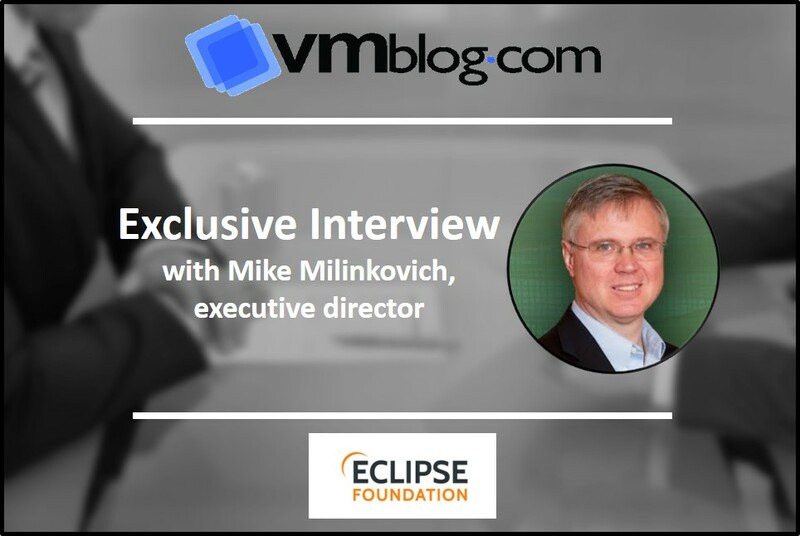 VMblog: First, why would developers choose the Eclipse IDE over other IDEs? Mike Milinkovich: There are other terrific IDEs on the market for developers. It depends on what you need. It's important that your readers understand how extensible the Eclipse IDE is. Given our open source model, I am sure we have the broadest range of whatever you need. We probably have the right tool for your job. For example, while we're famous for our Java Integrated Development Environment, our C/C++ and PHP IDEs are pretty cool too. You can easily combine language support and other features into any of our default packages and the Eclipse Marketplace allows for virtually unlimited customization and extension. VMblog: What about VMware environments? VMblog: So what's new and exciting in the Photon release? Milinkovich: I talked about extensibility earlier? Well, Eclipse Photon adds native Eclipse IDE capabilities for Rust and C# through Language Server-based plugins. The Language Server protocol (LSP) ecosystem provides editing support for popular as well as emerging languages. We're trying to keep up with the rapid rate of innovation in languages and their adoption. Other key highlights your readers should know about include support for building Java 10 and Java EE 8-based applications out of the box as well as dark theme improvements in text colors, background color, popup dialogs mark occurrences and more. VMblog: I understand there are multiple projects that must converge each year for each major Eclipse IDE release. Can you explain? Milinkovich: Yes, I tip my hat to the hundreds of developers who knock themselves out every year to help the rest of us be more productive in our work. For this Eclipse Photon release, we had 85 projects involved, consisting of more than 73 million lines of code, with contributions from more than 620 developers. And I'm proud to say 246 of those developers are official Eclipse committers. Our IDE is downloaded more than two millions times a month and is used by more than four million active developers daily. It's quite a community success story and speaks to our central role in driving innovation in the Eclipse IDE as well as hundreds of other open source projects that span runtimes, tools and frameworks used every day in industries that range from automotive to geospatial, systems engineering and Internet of Things.